The funeral of Johnny and Maisie Urban will be held Thursday, Oct. 25 at 11 a.m. at St. Simon Catholic Church in Ludington. Visitation will be held Wednesday, Oct. 24 from 2 to 4 p.m. and 6 to 9 p.m. at Oak Grove Funeral Home on U.S. 10 in Amber Township. Johnny, 85, died Sunday, Oct. 14 and his wife of 59 years, Maisie, 80, died Wednesday, Oct. 17. Together they owned and operated Johnny’s of Custer. An inseparable team for 60 years, Johnny and Maisie have left this life the same way they lived it — together. John “Johnny” B. Urban, 85, of Custer, passed away on Sunday October 14, at home. Maisie J. 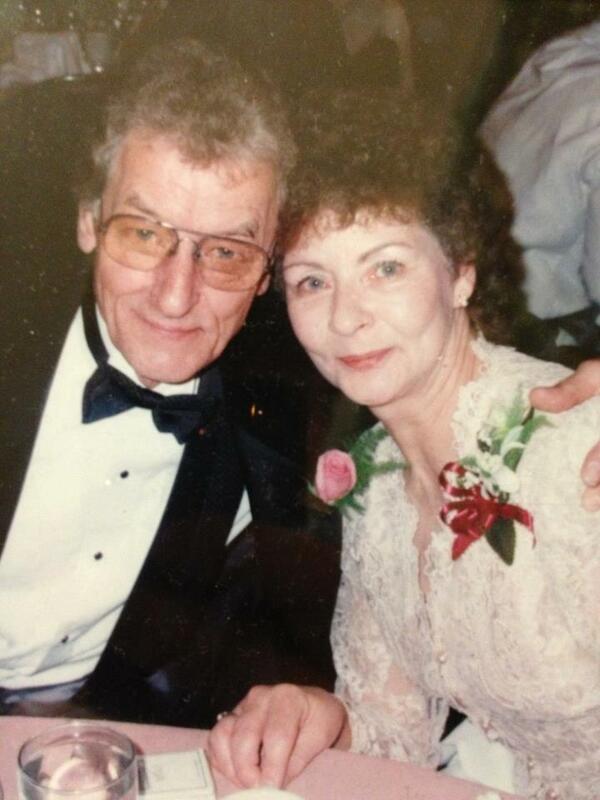 Urban, 80, of Custer joined her beloved husband on Wednesday, October 17. Johnny was born on November 10, 1926, in Irons, son of the late Egnis and Eva (Schultz) Urban. He attended Norman Dickson High School where he completed 10th grade. Maisie was born on January 5, 1932, in Eden Township, daughter of the late David and Pheobe (Whitaker) Beadle. She attended Custer High School where, in addition to her school work, she played basketball and was a varsity cheerleader for four years, graduating in the class of 1949. They were married on January 7, 1953 in Custer. They are survived by their son, James (Jacqueline) Urban of Williamston, Michigan; grandchildren, Caitlin and Nicholas; Johnny’s brother, Walter (Evelyn) Urban of Fountain; Maisie’s sister, Inez; their dear friend, business colleague, and caregiver in their final years, Lolly (Grant) Griswold of Custer; and numerous nieces; and nephews. Johnny was preceded in death by his parents; brothers, Joe, Jim, Stanley and Tony; and sisters, Anna and Adelle. Maisie was preceded in death by her parents; brothers Gale, David, Frank, Gene and Don; and sisters Doris, June and Leona. In 1948, Johnny and his twin brother Tony built a roller rink known as the Northern Gardens in Custer. The Snack Bar restaurant was added soon after. Within a few years, Tony sold his interest in the business to Johnny. When Johnny and Maisie married in 1953, a partnership to last the ages was formed and the unstoppable team of Johnny and Maisie built what became a northern Michigan institution, known throughout Michigan simply as Johnny’s. Johnny and Maisie both came from very humble beginnings and were both raised to believe in one fundamental principle, “if you wanted something, you had to work hard for it.” They applied that work ethic to every goal they set for themselves for over 50 years. From the beginning, Johnny occupied the spotlight while Maisie provided the anchor, unwavering support and insights which perfectly complemented Johnny’s showmanship drive. One night after roller skating had closed, Johnny and a few customers were in the restaurant when one of the customers asked, why not have a dance in the roller rink after skating. The juke box was rolled into the rink from the restaurant, and the era of teen dances in Custer began. The teen dances were a smash hit with Johnny as the bandstand DJ, the role for which he became most famous. Soon, hundreds of teenagers would appear every Saturday to dance the night away at Johnny’s Bandstand. For over 50 years, successive generations enjoyed the entertainment and sense of belonging found at Johnny’s. Maisie ruled the restaurant, trained and became the surrogate mom for most of the waitresses, and made the world’s very best cream pies. Johnny was just as committed to the Village of Custer as he was to Johnny’s and took action on that commitment. He ran for and was elected village president and served as village president for over 40 years, spearheading most of the major infrastructure improvements in the village. Johnny and Maisie’s Funeral Mass from the Order of Christian Funerals, will be celebrated at 11 a.m., on Thursday Oct. 25, at St. Simon Catholic Church in Ludington, with Father Anton Tran, Celebrant. The family will receive friends for visitation on Wednesday, Oct. 24, from 2- 4 p.m. and 6- 9 p.m., at Oak Grove Funeral Home in Ludington. Burial (with Military honors for Johnny) will follow the funeral mass at St. Mary’s Riverside Cemetery in Custer. Memorial contributions in memory of Johnny and Maisie may be directed to either Harbor Hospice, or the Village of Custer Sidewalk Fund. Please visit Johnny and Maisie’s personal book of memories pages to share memories, upload photos and read their life story at www.oakgrovefh.com. The family has entrusted funeral arrangements with Oak Grove Funeral Home & Cremation Center.